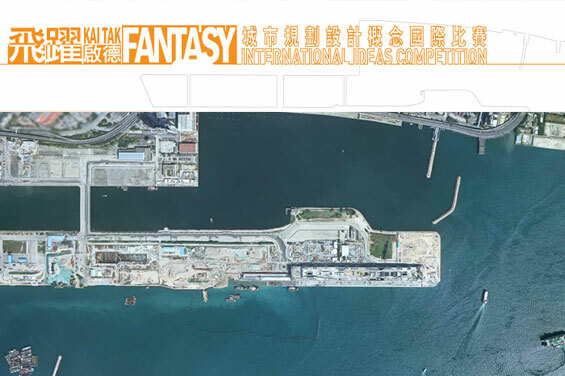 The Kai Tak Fantasy (KTF) International Ideas Competition on Urban Planning and Design organised by the Energizing Kowloon East Office (EKEO) of the Development Bureau was launched on November 28. KTF comprises three major elements, namely the Kai Tak Runway Tip in the Kai Tak Development, the Kwun Tong Ferry Pier Action Area, and the water body in between, which involve a total area of about 90 hectares. Speaking at the launch ceremony today, the Secretary for Development, Mr Paul Chan, said that KTF not only has the potential to be developed into a world class tourism and entertainment hub, but could also inspire arts, culture and creativity in the region. “Kai Tak Fantasy”- International Ideas Competition on Urban Planning and Design looks for creative thoughts and design excellence from qualified professionals in the field of planning, urban design, architecture, engineering, landscape architecture, surveying and other related disciplines, for reference and future implementation by the government of HKSAR. This recreational landmark at the site of the former airport runway tip in the Kai Tak Development, Kwun Tong Ferry Pier Action Area and the Enclosed Water Body between the Kai Tak Runway Tip and Kwun Tong Ferry Pier Action Area should become a tourism and entertainment destination for all public enjoyment, as well as having a synergy effect with the various Energizing Kowloon East initiatives in facilitating the transformation of Kowloon East and sustaining the long-term economic growth of Hong Kong. The jury panel comprises expert professionals from Hong Kong and abroad, with Mr Chan as the head juror. Other members include the Chairman of the Kwun Tong District Council, Mr Bunny Chan; the Chairman of the Hong Kong Film Awards Association, Mr Gordon Chan; Senior Resident Fellow (Urban Development) of the Urban Land Institute, Mr Tom Murphy; the Chairman of the Task Force on Kai Tak Harbourfront Development, Mr Vincent Ng; internationally renowned architect Mr Bing Thom; the Head of the Department of Architecture of the University of Hong Kong, Professor Wang Weijen; the Chairman of the Travel Industry Council of Hong Kong, Mr Michael Wu; the Chairman of the Lan Kwai Fong Group, Dr Allan Zeman; the Chairman of the Hong Kong Architecture Centre, Mr Raymond Fung; and the Director of the Hong Kong Institute of Contemporary Culture, Mr Freeman Lau. Four shortlisted entries from the first round will be exhibited publicly in Hong Kong for collecting public opinion. The jury panel will consider feedback from the public in the second round of adjudication. The winning entry will receive a prize of HK$1 million, while each of the three shortlisted entries will be awarded prizes of HK$150,000. Registration is open from today until January 3, 2014, and entries should be submitted on or before February 24, 2014.